While the predictive advantage of ensemble methods is nowadays widely accepted, the most appropriate way of estimating the weights of each individual model remains an open research question. Meanwhile, several studies report that combining different ensemble approaches leads to improvements in performance, due to a better trade-off between the diversity and the error of the individual models in the ensemble. We contribute to this research line by proposing an aggregation framework for a set of independently created forecasting models, i.e. heterogeneous ensembles. The general idea is to, instead of directly aggregating these models, first rearrange them into different subsets, creating a new set of combined models which is then aggregated into a final decision. We present this idea as constructive aggregation, and apply it to time series forecasting problems. Results from empirical experiments show that applying constructive aggregation to state of the art dynamic aggregation methods provides a consistent advantage. Constructive aggregation is publicly available in a software package. 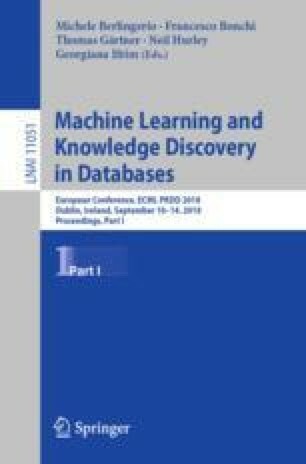 Data related to this paper are available at: https://github.com/vcerqueira/timeseriesdata. Code related to this paper is available at: https://github.com/vcerqueira/tsensembler. This work is financed by Project “Coral - Sustainable Ocean Exploitation: Tools and Sensors/NORTE-01-0145-FEDER-000036”, which is financed by the North Portugal Regional Operational Programme (NORTE 2020), under the PORTUGAL 2020 Partnership Agreement, and through the European Regional Development Fund (ERDF).